Our luxurious 3 bedroom, 2.5 bathroom condo located at Eden Ridge in Bethel, Maine's most beautiful mountain village, is now available for rental. 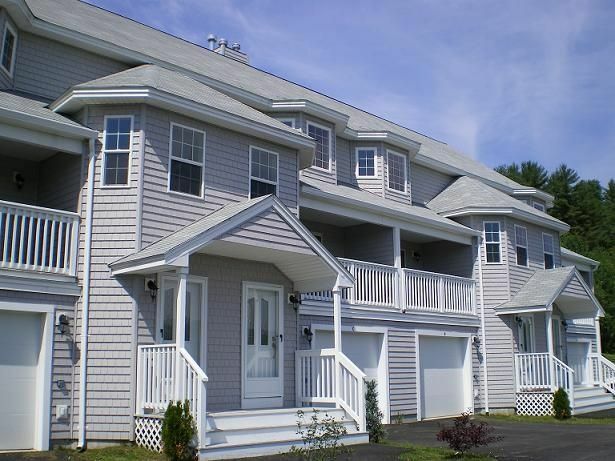 Located less than one mile from the main street in Bethel, this 1600 sq ft attractively furnished condo sleeps up to 8 people. The area is a true four season destination with world class skiing in the Winter and Spring at Sunday River and Mt Abram, both less than 10 minutes away. From May to November, there are two golf courses within 10 minutes with championship standard courses at Sunday River and the Bethel Inn and Country Club. Summer offers an abundance of hiking, fishing, kayaking and mountain biking opportunities. And who can forget the fabulous fall, a great time to visit Western Maine to take in the amazing fall foliage and wonderful scenery. There are three bedrooms, two with queen beds and the other with two sets of twin bunks which is great for kids. This is a great layout for families and couples alike. The kitchen has lovely granite tops and is fully equipped for your stay with utensils and stainless appliances. We have a Kuerig coffee maker (as well as the traditional coffee maker!) with a supply of k-cups provided. Guests have use of a computer with broadband internet and there is a large flat screen TV in the lounge with DVD player. There are 2.5 bathrooms with all towels and linens provided. In the garage there is a ski storage rack and ski boot drying and heating facilities that will ensure your equipment is dry, warm and cosy ready for the next day's skiing! We have high speed wireless internet throughout! We had been visiting Bethel for a number of years and in 2008 we decided to buy a property there. We love the tranquil village atmosphere of Bethel and although the Winter is the preferred time to visit with superb skiing at Sunday River and Mt Abram we find that each season offers something unique. We love the convenient layout of our property, with 1600sqft, 3 Bedrooms and 2.5 bathrooms over three levels there is plenty of space and numerous sleeping configurations for your party. Our home is just a short distance from Bethel village and there is nothing better than a nice walk along the quiet road into Bethel in the Summer and Fall. Guests also have the use of our two bicycles if preferred! Our home is fully equipped whether you are looking for ski racks, boot drying facilities, BBQ or a nice big flat screen TV it is all there. We like to think that our holiday home has all the comforts of our own home. We look forward to welcoming you soon!! Telephone available for free local calls. Base board heating throughout with digital thermostats on each level. Full range of crockery for all your guests. Modern kitchen with granite tops and stainless appliances. We had a great stay in Bethel. The condo was perfect for our family. Very clean and comfortable. Would definitely stay here again! Thanks Chris. Great location, well-appointed with comfy beds. The owners were fabulous with communication and clear information. Would gladly stay here again. The property was very nice, clean and included everything you need. The location is great, .5 miles to Bethel center and 10 minutes to Sunday River. The owner Chris was very nice and quick to respond to any questions. I would highly recommend staying there. Condo is in great location, well laid out, comfortable and clean- like being at home. We spent a week in February for a ski vacation at Sunday River. Was less than 15 min drive from ski area and right at the edge of town. Plenty of space for 3 adults and 3 boys. Convenient large open room with kitchen, dining and living room. All important amenities including internet and Netflix. Would definitely come back. Very clean, all the comforts and everything we needed for a great ski weekend!